Pass through Disk attached Hyper-V virtual machine may not start and you receive a “‘Failed to Power on with Error ‘General access denied error’ (0x80070005)”. Pass through disk attached hyper-v VM’s is failed to start when change storage systems or migrate to new host/cluster. 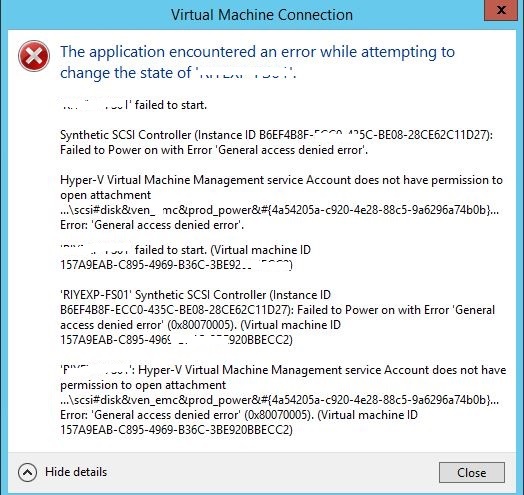 The above error is receive when reattach pass through GUI from failover manager settings or Hyper-V manager. So need to add the disk using PowerShell with elevated permission. Replace ‘VMName’ with your affected virtual machine. Get disk Number and controller number from disk management or failover cluster manager. This Post describes of exporting all active directory users password expiry date in CSV format using windows PowerShell. Step 2 : Login to Domain controller and open windows PowerShell as an administrator. 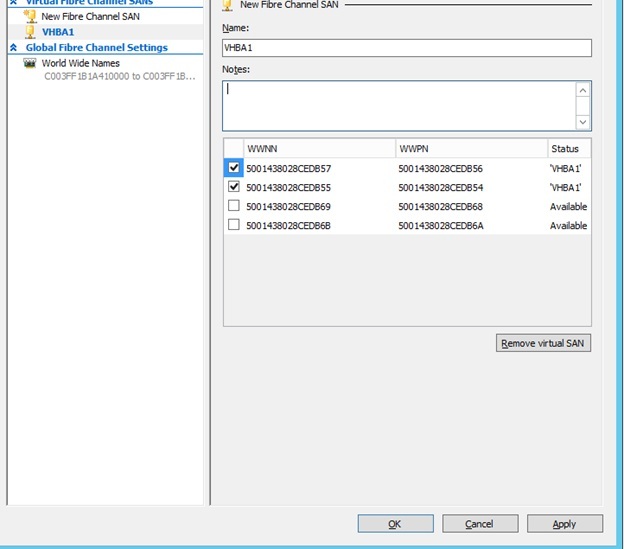 This post explain the steps for disabling SMB/NETBIOS NULL Session on domain controllers using group policy. Step 1 : Apply below group policy settings to Default Domain Controller policy object or to the GPO object that is applied to your domain controllers. 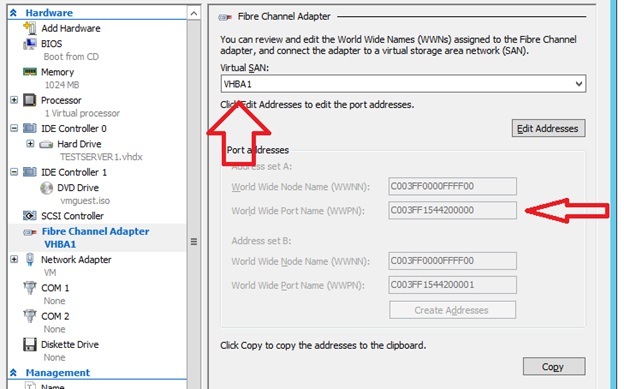 The below session describes how to configure a Hyper-V hosts to provision virtual machine with virtual Fibre Channel adapter. Platform : A servers with Hyper-V on Windows 2012 R2. Two Dual Port HBA Adapter is installed on this host. Then next step is do the zoning on Fibre switch and register the host on storage array. This post describes how to create shared volume disk for virtual servers. Using shared disk feature easily can implement virtual server’s cluster known as guest cluster. 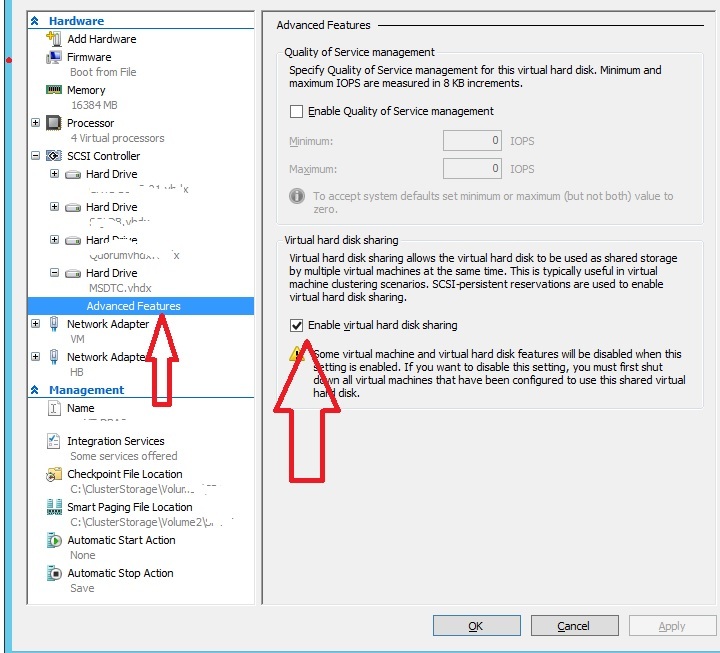 Virtual hard disk allows to share same disk between multiple virtual machines and this ideal solution when host SQL 2012/2014 cluster in virtual servers. 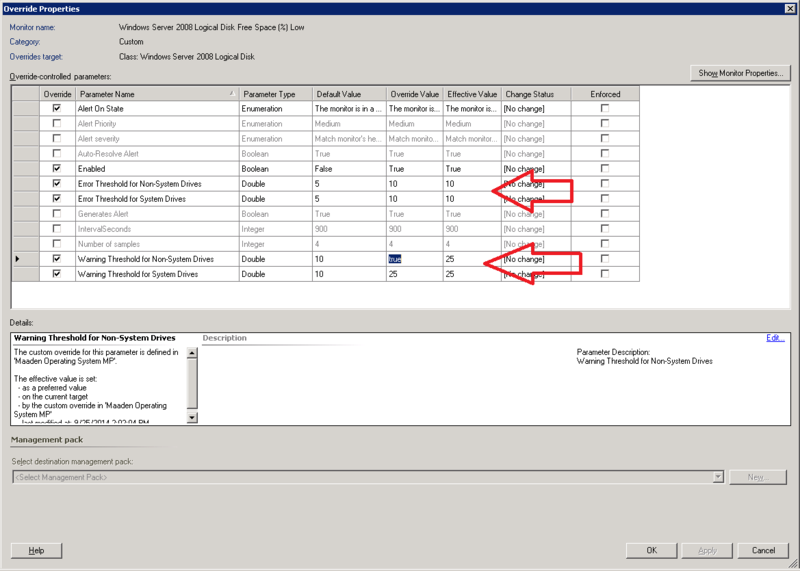 Note: SQL 2012 and earlier version doesn’t support cluster shared volume (CSV) disks. Step 1 : Go to first guest Virtual machine from failover cluster manager. Example: C:\ClusterStorage\VolumeX, where C:\ represents the system drive, and X represents the desired CSV volume number. Step 3: In the virtual machine settings, under SCSI Controller, expand the hard drive that you created in the previous procedure. 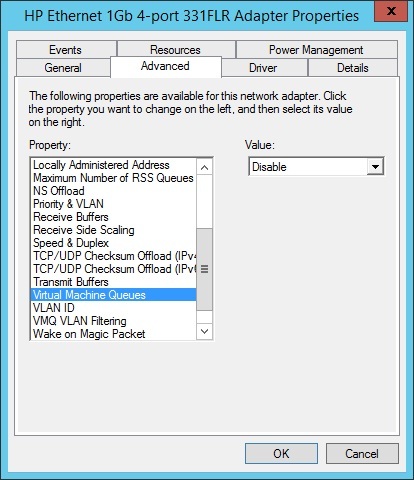 Disable VMQ on the physical network adapters on the host servers including teaming if any. One of my favorite monitor in SCOM is server logical drives free space monitoring . It’s very important of having automated server logical disk space monitoring in place. In this post describes , how to configure Logical Disk Free Space Monitor to alert on less than 25% free space on logical drives. Open operation Manager Console → Then Go to Authoring. Then select Windows Server 2008 Logical Disk Free Space (%) Low monitor .Then override it for all objects of class. Evaluate the default settings for the following parameters and compare them against your business needs. Thresholds are split into to types of drives; System and non-System.System type drives host the operating system. Non-System type drives are all other drives. Please follow the below image and apply the adjustments to monitor and alert windows 2008 logical disks ( Apply same for windows 2003 & 2012 monitors ).Do not use default Management Pack. Now you can use Operations Console to proactively monitor free disk space. Checking this state view once per day will be a part of the daily routine .See below example.